Suzuki Gixxer 250 might be revealed to dealerships across India by May 2019, states a fresh report. The 250cc engine will also come on the Gixxer SF variant later. We earlier reported that Suzuki two-wheelers India is planning to bring a bigger Gixxer to the Indian market. Currently, the Gixxer and SF variants are available with a 155cc engine. Fresh reports say that the Suzuki Gixxer 250 might be unveiled to dealers on 20th May 2019. The official launch in India might happen a month later. Earlier reports also confirmed the launch scheduled in June 2019. Suzuki India’s current lineup will get a much needed lift post the 250cc Gixxer. It will go against the likes of Yamaha FZ225, which is the only one in this segment. Suzuki Gixxer 250 will take design inspiration from Hajoue DR300 (Suzuki GSX-300). Hajoue is the brand’s partner in the Chinese market. In the global markets, the naked motorcycle range is known as the GSX series. The engine specifications remain unknown at the time. We expect a 250cc single-cylinder liquid-cooled fuel-injected engine. The engine will receive a balanced tuning, for a decent performance as well as fuel efficiency. The engine is expected to deliver 22-23 BHP and 20 Nm of peak torque. The motor will come mated to a 6-speed gearbox. The features onboard might include LED headlamps, DRLs, split seats, dual-ABS setup and the same dual-port exhaust muffler from Gixxer. We expect the prices to be around Rs 1.3 Lakhs (ex-showroom). At this price, it will be priced very near to the Yamaha FZ25. Another price competitors will include the newly launched Yamaha MT-15 and KTM Duke 125. Meanwhile, Suzuki will later launch the Gixxer 250 SF too. 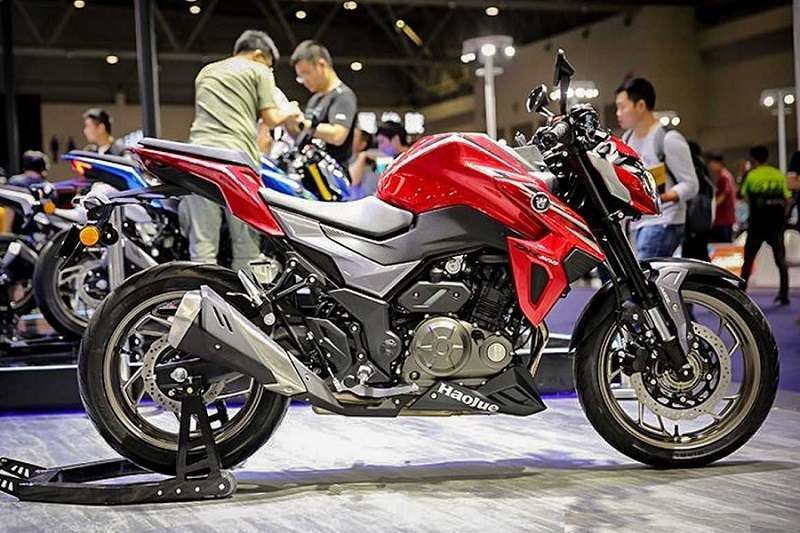 The fully faired version of the regular Gixxer will go against Yamaha Fazer 25 and Yamaha R15 V3.